Britain's answer to Silicon Valley in California is starting to take off, according to 7Digital CEO Ben Drury as the British government announces it is to inject £1 million in to the project. With the cash offering to be split between 10 companies that impress with their pitches, each receiving £100,000, the incentive is being described by those involved as a “unique competition designed to promote the community dynamic within the Tech City area, encourage cooperation and grow business in the area." London's so called Silicon Roundabout, known to some as Old Street, got its name after then Dopplr.com CTO Matt Biddulph suggested it on Twitter. The area is famed for its clusters of small web start up companies and has received massive investment following the launch of the government's “East London Tech City” initiative in November last year. Speaking to gadget blog Techradar, Drury, who isn't too keen on the name of the area, spoke of its importance to the UK tech industry, and talked about the real sense of community spirit developing in the area. 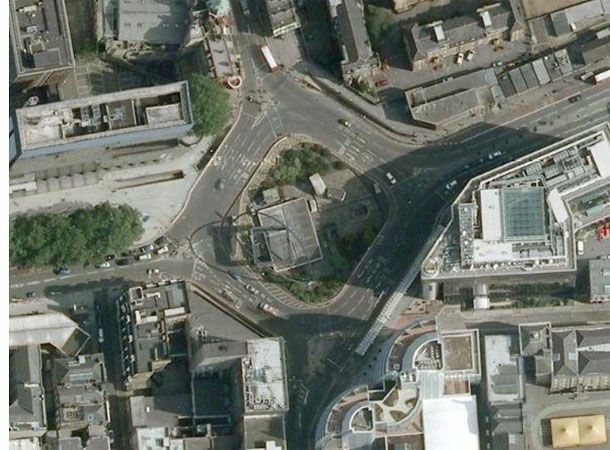 "[The Silicon Roundabout] is an awful name, but you do need a hub," said Drury. "We have started hanging out with other companies in the area, becoming part of the social scene and generally swapping ideas and getting advice." "It takes time for a community to build up but it is starting to happen. I am more positive now than any time before in London." Drury's company 7Digital is a digital music download store founded in Britain, taking on the big boys like Amazon and Apple in a bid to make us part with our precious pounds. "People in Britain and in Europe have always been a bit afraid to take risks but this is also starting to change. There is now more of an entrepreneurial culture," Drury says. Can you suggest a better name for London's tech hub? Let us know on Twitter and Facebook.